There are so many fun things to call these little guys and I somehow just stuck with the generic title. Egg Poppers, Egg Bites, Protein Bites…the possibilities are endless. ANYWAYS, breakfast is always grab-n-go during the week and these are a perfect punch of protein for the morning. Not to mention, they are so easy and painless to make. 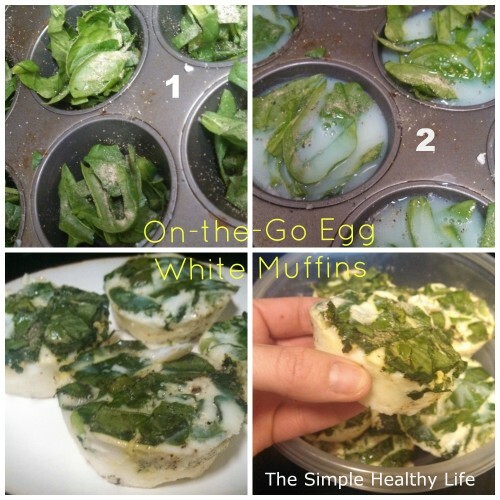 Grease each muffin tin with coconut oil. Fill each tin with veggies. Pour egg whites over veggies in each tin. Bake for 10-20 minutes until eggs are firm. Pop eggs out of the tin. They will keep in the fridge for a week. Just microwave in the AM or eat cold!